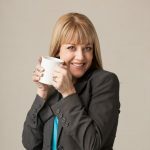 Genny Heikka, MBA, is an author, speaker and passionate coach to women and organizations. 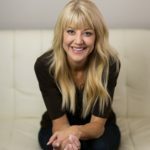 She's been helping people reach their full potential for over 17 years and has served in a variety of leadership roles within corporate, non-profit and ministry organizations. She's the founder and CEO of HerTeamSuccess, where she coaches women and groups through the process of strengthening their brand, finding their purpose, and overcoming things that hold them back. She also works with a variety of companies on branding and applies her experience in marketing, leadership, and communications to help her clients excel and grow. She's a co-founder of LIFT: Live Inspired, Fearless, Thriving, which hosts events and workshops that help women gather in community and thrive. Genny began her career at Hewlett-Packard then stepped into her dream of becoming an author, writing several books and working with aspiring writers to help them reach their goals. 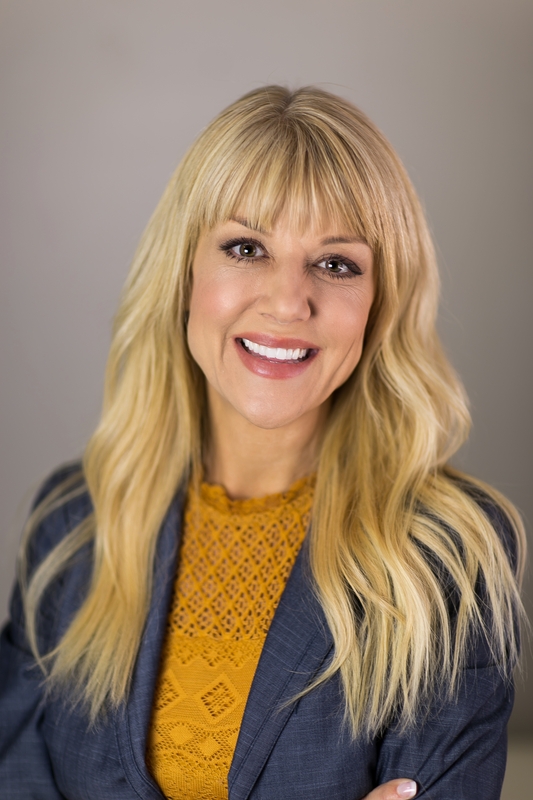 She has served as the Director of Communications for an international non-profit that fights human trafficking and taught business courses as Adjunct Faculty, where she loved working with students and emerging leaders. A vetted member of the Professional Coaching Association, Genny has appeared on radio and TV and has been published in multiple publications. She lives in Idaho with her husband Mike and their two teens, where they love spending time outdoors and being involved in their Treasure Valley community. 2. I love helping people strengthen their personal brand. One of my greatest thrills is seeing people overcome their fears and reach their full potential. We all have unique strengths, and there's nothing like stepping bravely into your passion (even if your knees are knocking!). And when you do, you realize it's not about you anyway; it's about what you have to give to others. 3. My husband Mike and I were high school sweethearts and I'm still madly in love with him! 4. A few years ago, we moved with our two teenagers from California to Idaho (my husband's job got transferred). What started out as a journey filled with unknowns and what ifs turned out to be one of the best things that ever happened to us. 5. I love being a mom. I love being a business woman. I love helping others thrive and lead. 6. I have a daughter who just started college this year and even though she lives nearby, I miss having her at home. Whoever said that teenagers are impossible was wrong. They're totally and completely glorious. And I'm serious. 7. My favorite seasons are spring and fall. I love (LOVE) change. 8. I also love helping women explore life's tough questions. A few years ago, I got a certificate in Christian Apologetics from Biola University and I'm passionate about having deep conversations with women from all walks of life, all backgrounds, and all beliefs. I think we learn more from each other when we are different from one another, and we have more common ground than we think. 9. I’m a certified volunteer for Courage Worldwide, a non-profit that helps rescue girls who have been victims of trafficking. When I lived in California, I had the privilege of being the Director of Communications for this amazing organization and that fueled my desire to help empower women. 11. We have pets. A lot of them. My teenage son has a gift with animals... so we have a lot -- a dog, a cat, two birds, a hermit crab, and a ton of fish (by last count, we were up to four fish tanks). I always say when we go on vacation that it costs us more to cover pet sitting than it does to travel, and I'm not kidding. 12. Understanding God's unconditional love and His free gift of grace totally changed my life over twenty years ago. 13. I’ve never played sports. Instead, I grew up dancing--ballet, tap, and jazz, all the way through college--and I loved it. 15. I laugh a lot. 16. I'm passionate about encouraging people to become lifelong learners, develop their leadership abilities, and pursue their dreams (one of the reasons I've written so many blog posts in this category!). I sat there at a conference listening to a speaker talk about a woman who told her she wished she could be a writer. In elementary school, I entered my poems in poetry contests. I wrote stories that got published in an anthology my school district printed. And in high school, my favorite classes had to do with literature and writing. After getting my MBA, working at HP for several years, then making the decision to be home with my Katie and Luke, I felt a new tug on my heart. The time I spent reading children’s books to my kids had reawakened my passion for writing. I dreamed of writing a book–I wanted to make a difference in the world--but having been away from it for so long, my dream seemed far off. It was one of the most freeing things I’d heard. I didn’t have to long to write. Or dream of it. I didn’t have to imagine what it would be like or worry that I'd already missed my chance. In between diapers and potty training and play dates, between preschool and doctor appointments and swim lessons, I researched and read… and started to write. Sometimes I wrote ten minutes a day because that’s all I had. Sometimes, on days when the kids took long naps, I wrote more. Every once in a while, as I focused my writing in the children’s genre, an idea for a parenting article would pop into my head. I’d get on the computer, type it out, and file it away, not sure if I’d ever do anything with it. Then, as my kids grew and I got more involved in mentor programs for moms and parenting organizations, and as I began to read more parenting magazines and books, I felt a strong pull on my heart to dig those articles out. And when a friend with website experience recommended I start a blog and post my writings there, (and after a little encouragement from Mike), I did. My blog began with a few parenting stories and articles, but when I found my voice and saw the response and how so many moms were finding connection and support online, I jumped in with both feet. I loved sharing with other women. When we share like that, we realize we aren’t alone. We aren’t the only ones who’ve ever longed for a dream to come true. We aren’t the only ones who’ve gone through a dark time. We aren’t the only ones who’ve ever felt frustrated by parenting, or who have picky eaters, kids that fight, or a house that’s a mess. We’re all in this together, and by sharing our stories, we come to know that, and each other. And that’s the best part. Oh, and about making a difference? I still strive to do that through my writing, my business, and my speaking. But even more importantly, I’ve learned that the things I do as a woman, a mom, a wife, a sister, a daughter, a friend, a neighbor, and a coach make a difference. In the lives of the people I love, and in the world.